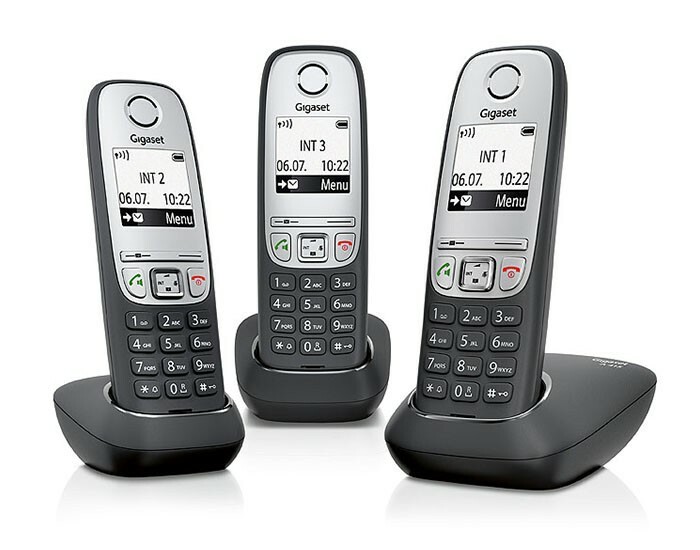 When it comes to daily calls, ease of use is a top priority. 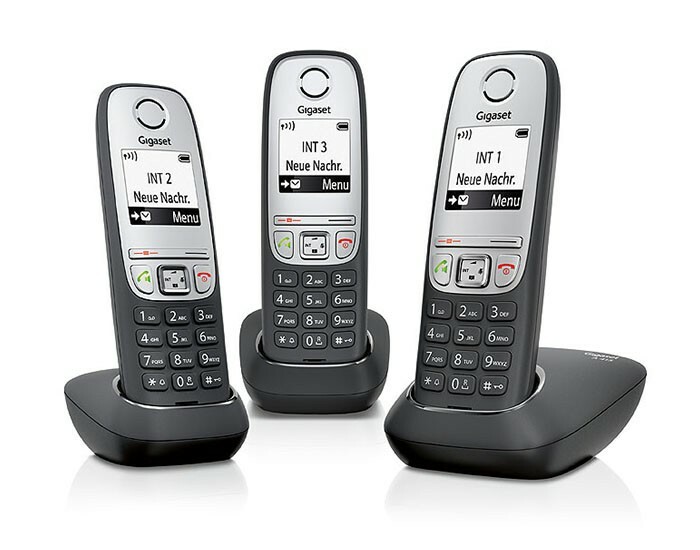 Meet the Gigaset A415 Trio: a modern, super-comfortable cordless phone. Enjoy easy reading and navigation on the generous black-and-white display. Save up to 100 names and numbers in the convenient phonebook. Then savour long conversations in perfect sound quality.